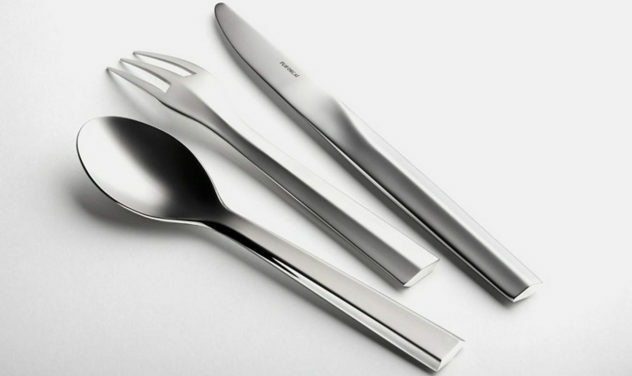 Zermatt cutlery set is a handmade creation of designer Patrick Jouin for French company Puirforcat, following strict but elegant geometric lines. 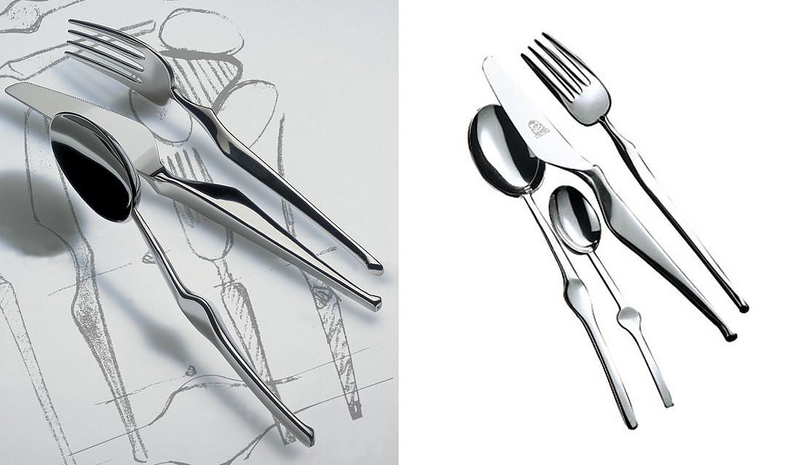 Designed by award winning Italian designer Angelo Mangiarotti the Mepra Ergonomica Cutlery will add a touch of style to your table. Kaeru is tiny spoon designed by Wiel Arets and made by Alessi, which stands up to the task of mixing your delicate espresso with proper care.